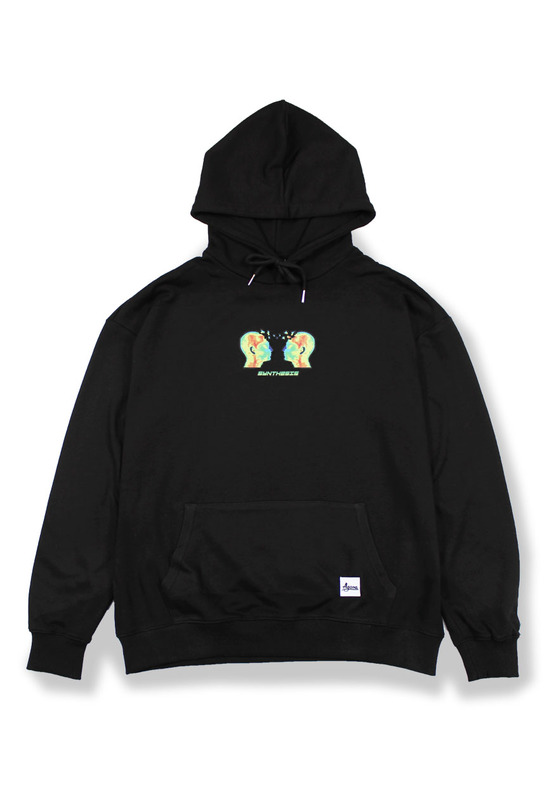 Agora black cut and sew hoodie withscreen print motif. 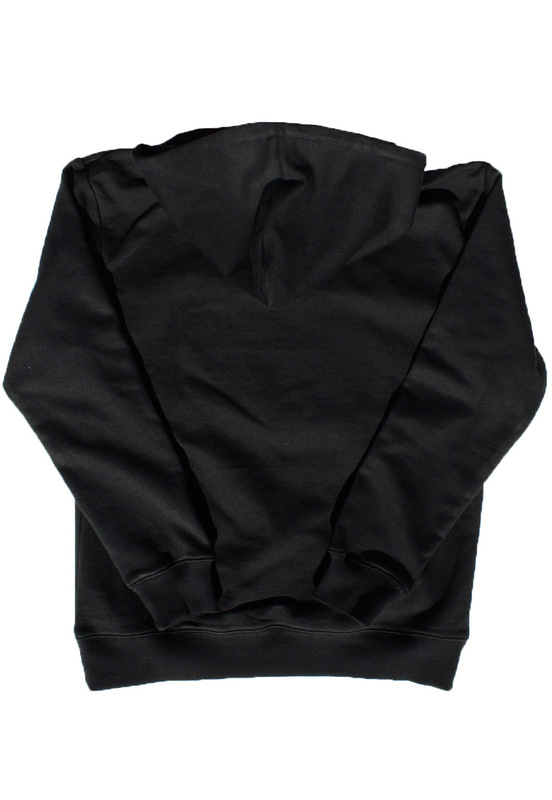 Medium-light construction hoodie from 100% French Terry cotton. . Tailored, true to size fit. Perfect for layering.